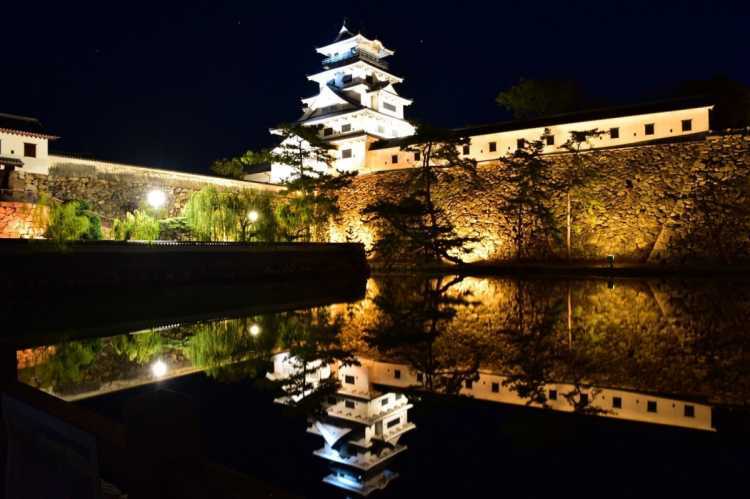 The Imabari castle is illuminated in warm-color and looks like floating. Of course, it's also good in daytime. Imabari Castle standing on the wonderful stone walls. It takes seawater into the huge inside-moat. 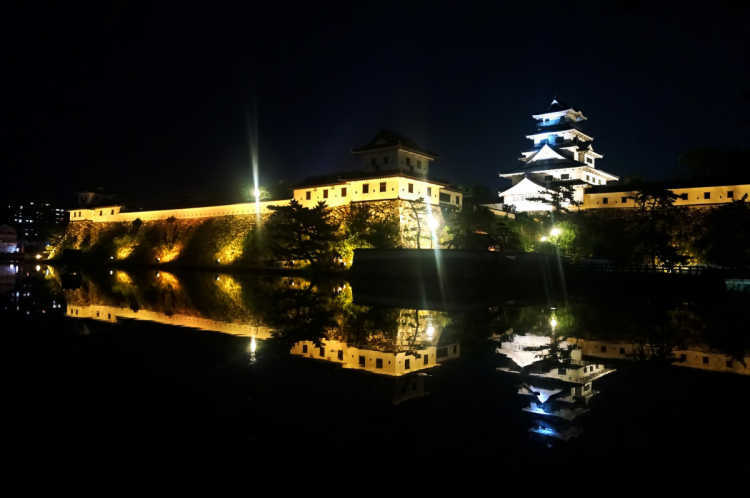 We can see the collaboration of the castle with calm surface of moat and beautiful night sky. It fascinated me so much that I forgot the cold. As a military commander, he was also good at building castles. 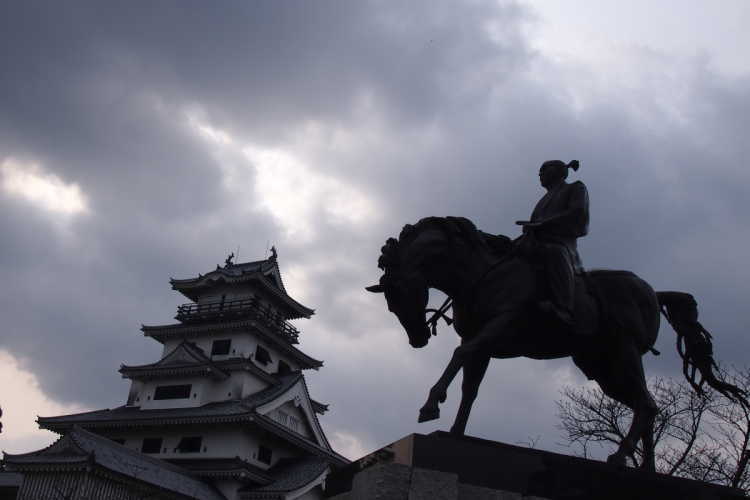 His brave statue and Imabari Castle as a background attract us castle enthusiasts very much. 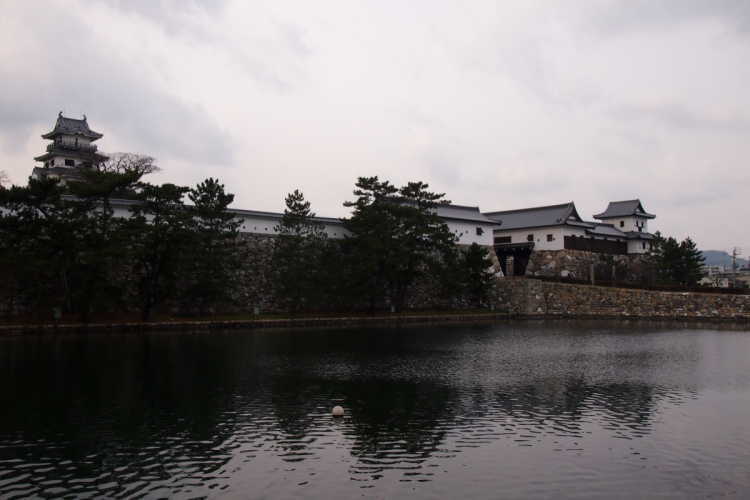 Since Seto Inland Sea is near, the castle has a wide moat drawing the sea water. And its central keep remains the brave figure of ancient times.